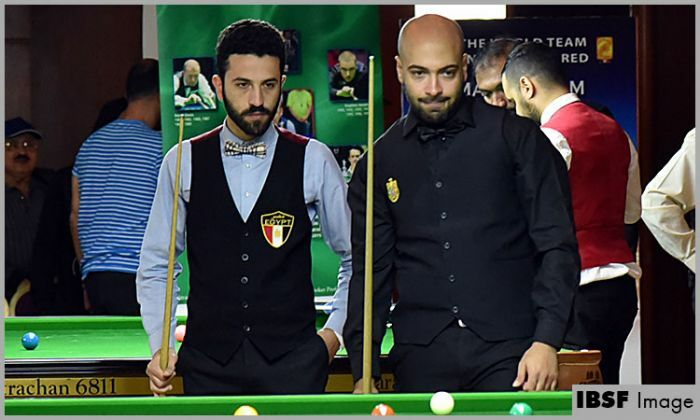 Mohamed Ibrahim of Egypt surpassed his compatriot Mohamed Abdel Hakim 4-2 and stepped in the Last-32 stage of the World 6Reds Championship 2018. Ibrahim, who is on Asian 10Red tour representing Africa, was in good form today and soon he was leading by three frames having break of 31 points in third. Down three frames Hakim attempted recovery and succeeded to clinch back-to-back two frames but couldn’t handle the situation further. Ibrahim, however, was quick to seal sixth frame 42-06 and close the proceedings 4-2 in his favour. India’s S. Dilip Kumar also entered in Last-32 defeating Iraq player Alijalil Ali 4-1. Dilip made breaks of 48, 65 and 36 to counter Iraq’s challenge and won comfortably. Hong Kong player Cheung Ka Wai made an opening break of 71 points to dominate on his match against Mohamed Khairy of Egypt. He won 4-nil having one-sided score line 75(71)-00, 40-09, 45(45)-00, 40-12.